About Us | Art of Framing, Inc.
ART of Framing, Inc., is a full service frame boutique featuring custom designed preservation quality framing and a Fine Art Gallery complete with a variety of work by regional artists. ART of Framing, Inc., is locally owned and operated in Lafayette, Indiana. Our designers pride themselves on keeping up with current trends in the picture framing industry through continuing education. 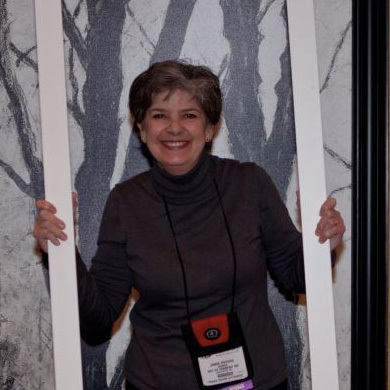 Janie Peters, Owner - Art of Framing, Inc. Founded in 1990, ART of Framing, Inc., formerly Kelly’s Custom Frames, has been serving greater Lafayette for over 21 years. Owner, Janie Peters, received the designation of Certified Picture Framer in 2008, which is a level of professionalism that is recognized and respected in the Picture Framing Industry. Janie also holds a Bachelor of Arts degree in Marketing from Ball State University and is a member of the Professional Picture Framers Association.